This is an article that we recently wrote for Kidscene Magazine. Baby its cold outside… and it’s about to get messy inside. Baking with the kids is a fantastic rainy day activity and now the winter has fully set in its time to embrace the mess and get the mixing bowl out for some screen-free fun with the little ones. There’s nothing better than a lovely piece of buttery shortbread with a hot drink at Christmas. 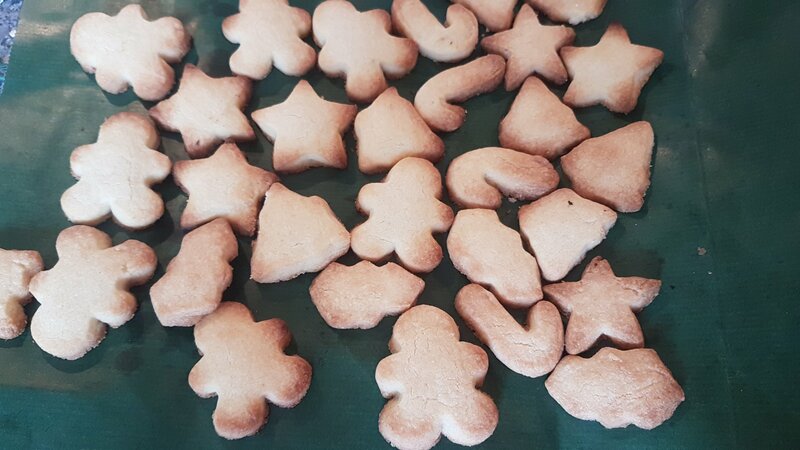 This simple recipe is so easy a child could do it (with a bit of guidance of course) and the results are beautiful buttery biscuits that I guarantee are far better than any you can buy in shops. These make ideal presents that my kids always gift to close friends and family. They keep for up to 7 days in an airtight container or 5 days tied with some festive ribbon in cellophane. In a large bowl, mix the butter and sugar until combined. Then add the plain flour and cornflour. Let the kids get their hands right in there to bring the mix together. 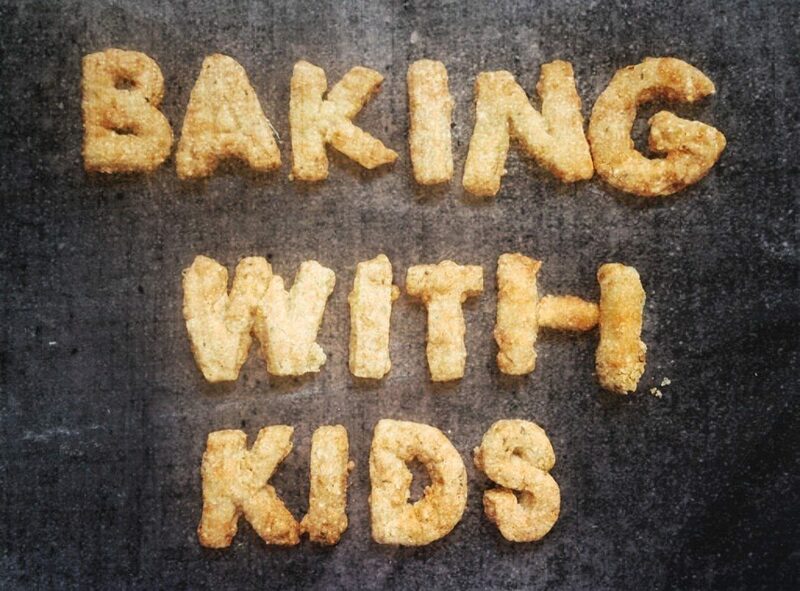 This is the fun bit as it’s a little bit messy and a lot yummy- perfect fun for little ones. Once you have your ball of slightly sticky dough- scatter flour over the worktop and a rolling pin and roll out to ¼ inch thickness. 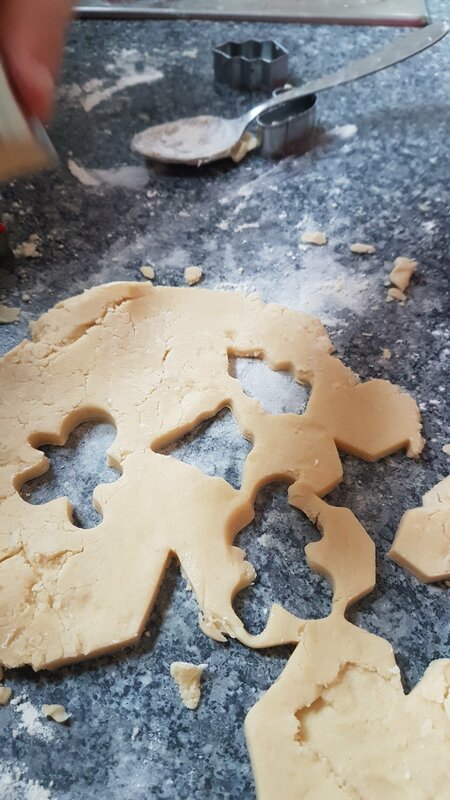 Cut as many shapes as you can with your cutters, then re-roll the dough and cut again until all the dough has been used up and your kids have eaten their body weight in butter and sugar. Bake in your preheated oven for 10 minutes or until the edges of the biscuits are golden. Allow to cool completely before wrapping or serving. If you are using cellophane bags you can pop a few in and tie with your festive ribbon to secure- these are fantastic and readily available at this time of year. Alternatively cut sections of cellophane from a roll into 12cm square. Place your shortbread in the middle and gather up the edges to form a parcel. Secure with your festive ribbon.